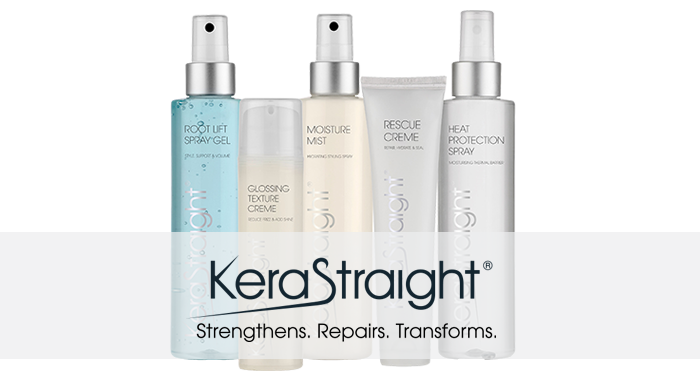 KeraStraight is a world-leading protein repairing and smoothing treatment that will renew dry, damaged and weak hair. Hair is trans-formed to be healthier, straighter, stronger and feel incredible. Packed with an advanced blend of highly concentrated proteins, these incredible treatments deliver added elasticity, strength, vitality and incredible shine to the hair, and provide a smooth and soft finish that lasts for up to 4 months. So is KeraStraight for you? If you can answer ‘yes’ to one or more, then KeraStraight is definitely for you! • Is your hair too curly, unruly or frizzy? • Does your hair take too long to manage? • Is your hair weak, dry or damaged? • Do you want long lasting, shinier, softer, stronger hair?